Getting your closets organized is a great way to eliminate stress, find items to donate to charity, and assess your storage needs. 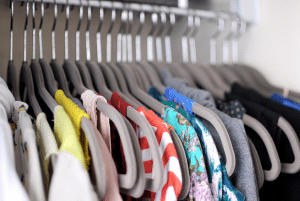 Once your closets are organized, you’ll find that your mornings run more smoothly and you can enjoy your possessions without fretting over where things are. 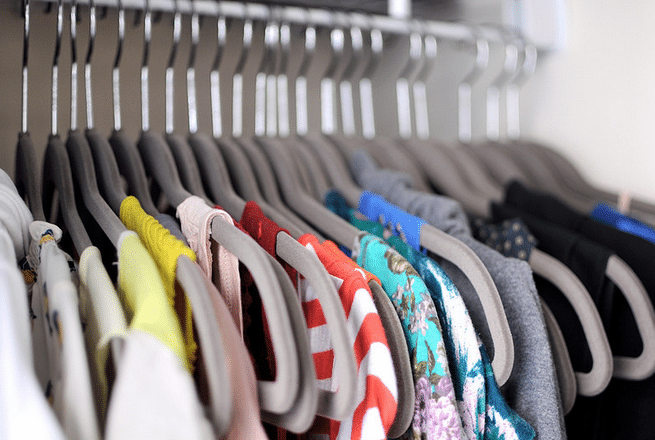 This is part 2 in a series of blogs that walks you through key steps in closet organization. If you missed the first few steps, click HERE to read Household Organization Tips: Closet Organizing, Part I. Use the space on the back of the door. An over the door hanging hook can be a perfect spot for hanging jackets, belts, scarves, purses, hats, bathrobes, and more. Store items that you don’t need to access on a daily basis elsewhere. Holiday ornaments, out of season sports equipment, and many other items often stored in closets could be easily stored in a basement, attic, or in climate controlled storage unit. This would give you more space for everyday living and quicker access to the things you need on a daily basis. Make optimal use of prime closet space. Prime closet space would include your bedroom closet, a coat closet, or a hall closet intended for linens. These closet spaces are intended for daily use and the storage of items you need to access regularly. If you store seldom-used items in prime closet space, you are cluttering up these areas and making it harder to find an access the belongings you need to have available. If you have additional closets in your home (in spare rooms, seldom used hallways, etc. ), then use these closets to store out of season items or memorabilia. Get creative with your storage options. Think beyond closet space to find storage space elsewhere. Few people have more closet space than they need. Most people need to get creative or live with clutter and disorder. Other home storage options include utilizing attic space, building a storage shed, or renting a storage unit. Remember that if you store your items in an attic or shed, these environments are not climate controlled and they could damage your belongings in the long term. Many people find that climate-controlled self-storage is a good solution to small or cramped close space. If spending a few extra dollars a month would give you 200 extra square feet of living space that is currently being used to store your storage, it’s usually worth it. Contact Value Store It to reserve your new storage spot and find the extra closet space you’ve been looking for.